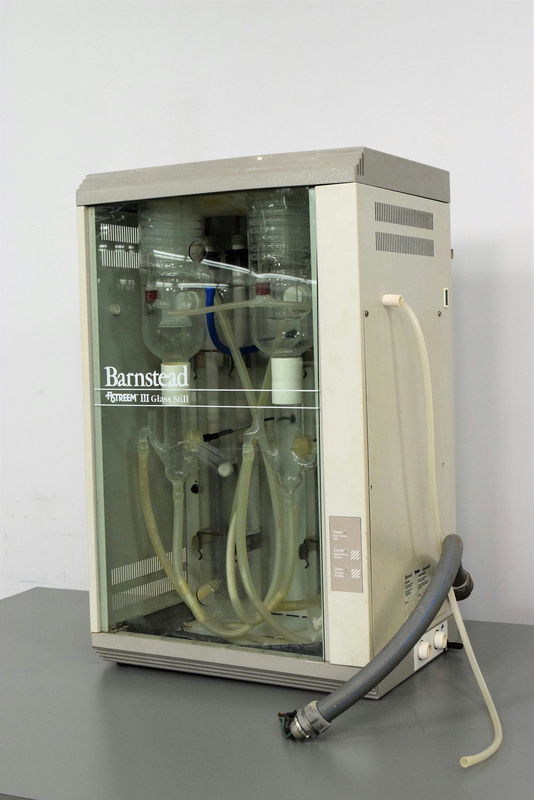 Fistreem III Barnsteal Glass Still Model A56220-857 Purified Water Condensers . New Life Scientific, Inc. This system was used to make purified water. Even though it is being sold for parts the condensers are in great condition. The system wasn’t power on or tested. Our in-house technicians did a visual inspection of the equipment but didn’t hook up and power on. They decided to sell for parts, the condensers inside are still in good condition.